The Kohler Food and Wine Experience is set in the beautiful town of Kohler, Wisconsin and features incredible chefs, such as Jacques Pépin and Cat Cora. There are times when a food and wine experience turns into so much more than food and wine – the whole is greater than sum of the parts, I guess you’d say. 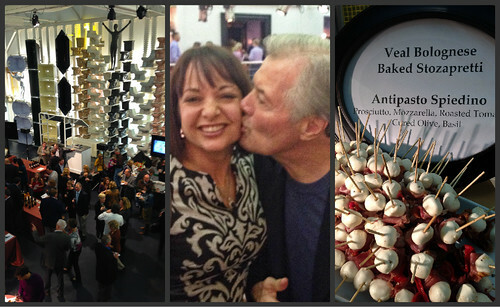 That was what happened when I attended the Kohler Food and Wine Experience in Kohler, Wisconsin a couple of weeks ago. If the name Kohler sounds family to you, I am indeed referring to the innovator and manufacturer of toilets, faucets, sinks, showers, and other kitchen and bathroom products. 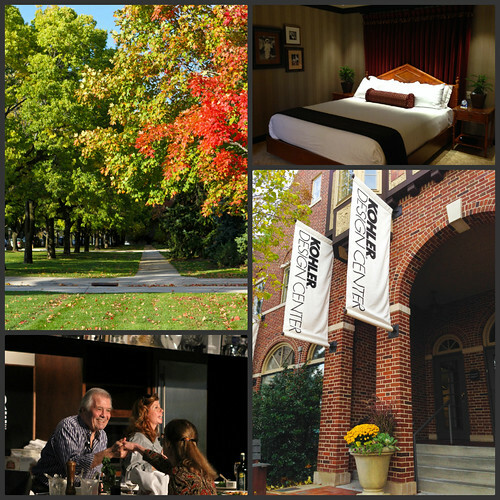 Little did I know that Kohler family has a penchant for great food, world-class golf courses and accommodations that will spoil you for any other resort you will ever stay at. During the height of the fall colors, seven food bloggers (above, left to right: Ali, Heidi, Sandy, Sommer, me, Amy and Amanda) descended upon the town and checked into the American Club Resort, which was just named the Top Resort in the Midwest by Conde Nast’s reader’s choice awards. Sommer attended the Food and Wine Experience last year and brought us all together to be a part of the 2013 experience. Thank you, Sommer! 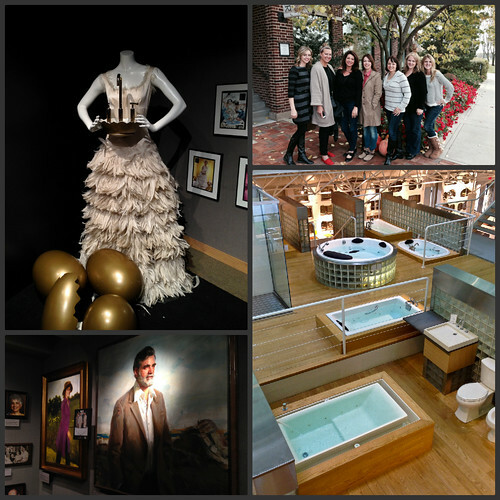 We had the opportunity to tour the impressive Kohler Design Center. The center is set up to display some of Kohler’s amazing products, as well as to feature the history of the company and the Kohler family. 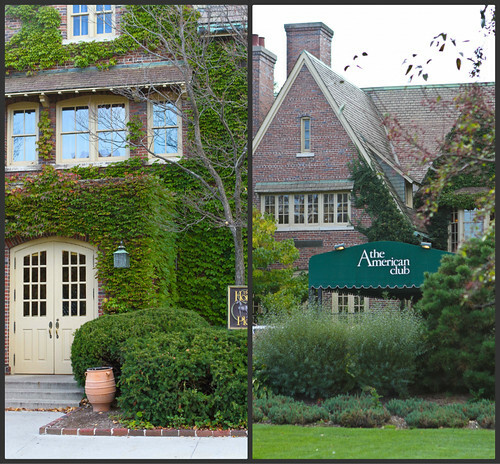 The American Club Resort and the town of Kohler are home to a number of fine dining and casual restaurants. I ate one of the best meals of my life, served by Chef Matthew Bauer, at The Immigrant Restaurant. Crab cakes with a soft boiled egg and lobster Hollandaise or roasted pork tenderloin with a smoked tomato demi-glace do not disappoint! 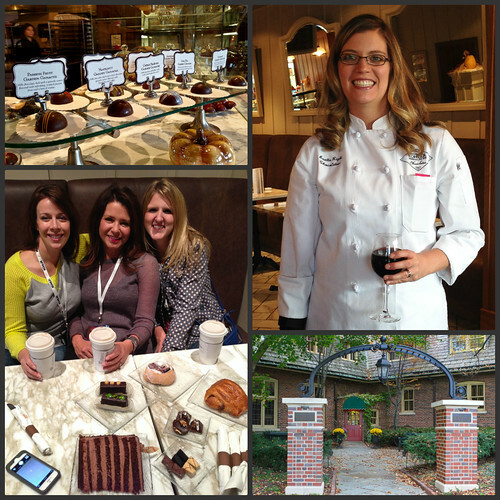 A must-stop location in the Kohler village is the Craverie Chocolatier Cafe, featuring the beautiful chocolates of pastry chef Annette Righi. We sampled everything from the chocolate terrapins (think chocolate turtles made with innovative ingredients and very high-quality chocolate) to the layered chocolate cake. 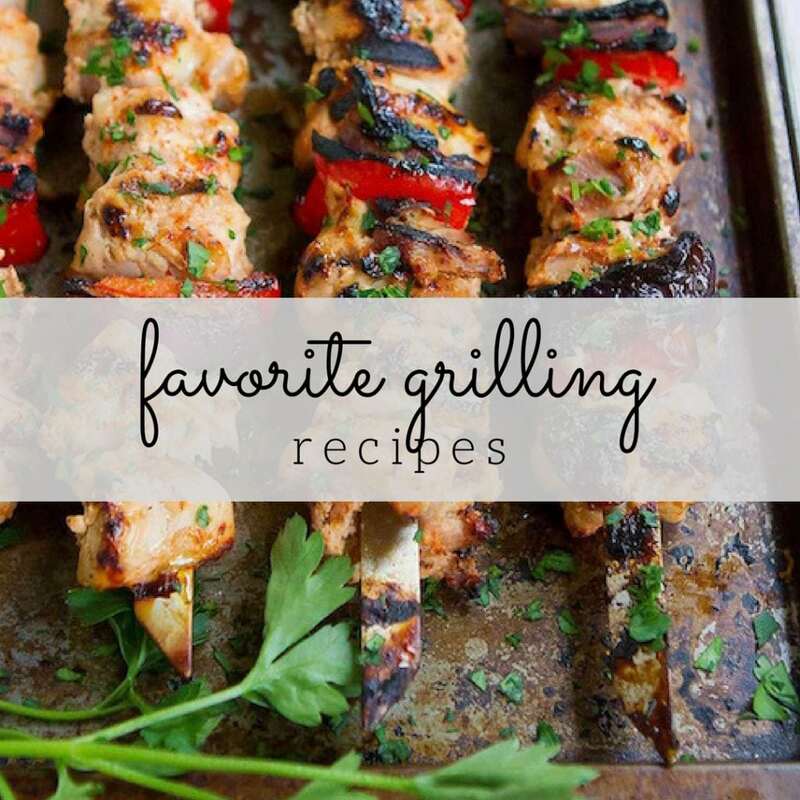 We’re food bloggers…we’ll call it market research. Yes, we were there to eat and drink, but we were also there to learn. And learn we did, from some of the best. 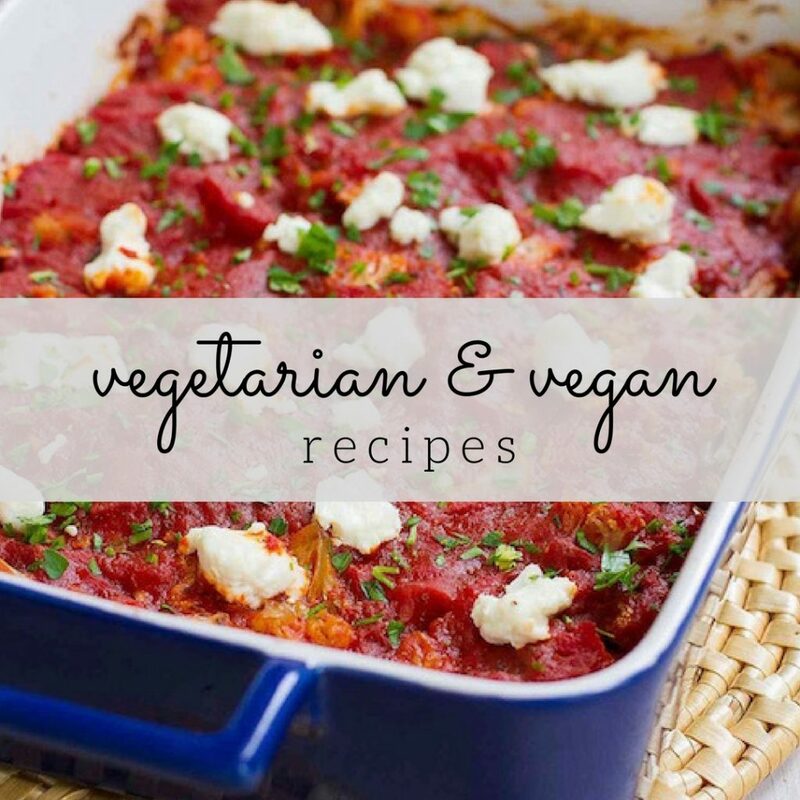 When you are learning from the likes of renowned French chef, TV personality and author, Jacques Pépin and his daughter, Claudine Pépin, you know you have not stumbled into a run-of-the-mill cooking demonstration. The two of them are just as entertaining on stage and in person as they are on TV. Chef Pépin brought out his French charm and laid a quick kiss on my cheek when we ran into him at one of the evening events. 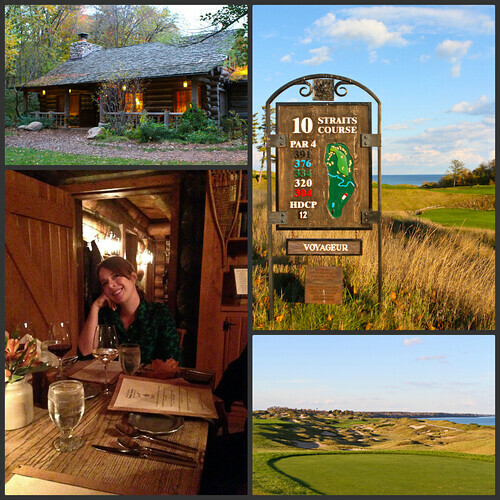 Kohler is also home to Whistling Straits golf course, home of the 2004 and 2010 PGA Championships. The golf course is set along the shores of Lake Michigan and features rolling hills, picture perfect greens and a herd of Aberdeen sheep, brought from Scotland. Amanda was finally rewarded for her diligence with the sheep (“Come here, Lambchop.”) when one of them wandered over to eat grass out of her hand. One of the many highlights of the trip was having the opportunity to sit down and chat with Chef Cat Cora, cookbook author and Food Network chef (the only female donning the white coat as an Iron Chef). 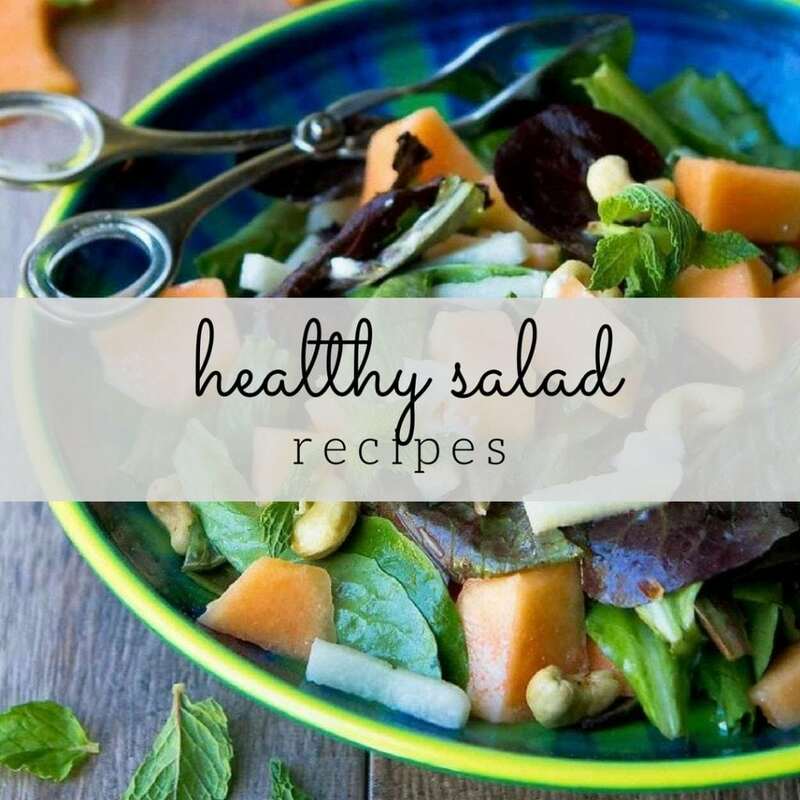 She is dedicated to educating others on the benefits of healthy eating. Each morning, I ordered a simple breakfast of granola and fresh fruit from room service and each morning, the same staff member, a lovely lady with a sunny disposition, Rita, brought my order to my room. On the last morning, Rita brought my breakfast on a cart (she had used a tray the previous morning) and said, “I have a cart for you this morning.” I could have sworn she said she had a card for me. We joked about that for a moment and we shared stories of leaving notes for our kids at the breakfast table or in their lunch boxes. Ten minutes after she left my room, there was a knock at the door. There was Rita, card and gift bag in hand. She said, “I wanted to bring you a card, and there is a little gift for your boys in the bag.” You can see the note and the present above. Thank you, Rita. And thank you to everyone who works at the Kohler resorts, restaurants, design center, and food and wine experience for making it a truly memorable weekend. Disclosure: My trip was sponsored by Kohler. All opinions are my own. Dara, It was so wonderful to get to experience Kohler with you! You are so much fun, and just made the whole trip even more magical. I know we’ll both be dreaming of escaping back to Kohler in the coming months. 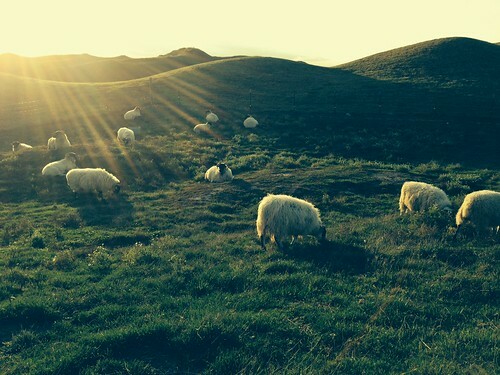 That last sheep photo should be on a card or poster… breathtaking. Fabulous review, Dara. 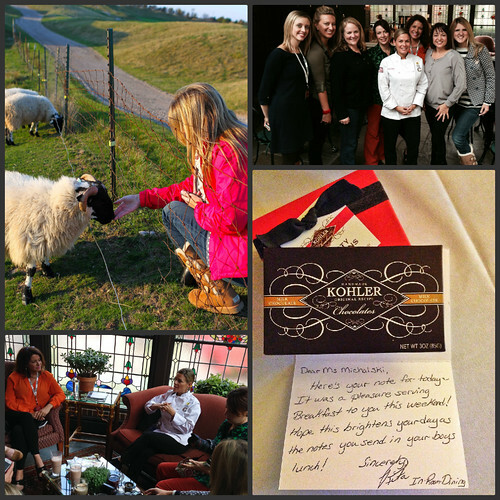 You captured the trip so well, and how fantastic the Kohler people were! Love the recap and photos, my friend! Wonderful! Have as great weekend! What a fabulous accounting of your trip, Dara! Sounds like an incredible opportunity! Thanks for letting us experience it vicariously through you! One quick note…there are now TWO female Iron Chefs! Alex Guarnaschelli became one in 2012. 🙂 I remember watching the series in which she competed for that title.